The processed food industry has made the job of cutting out sugar even more difficult for consumers. Foods we wouldn’t necessarily consider full of sugar, even healthy foods, are often sugar bombs in disguise. Reducing the amount of sugar your family eats is not only a great idea for keeping mouths healthy, but it can also have tremendous benefits to overall health. 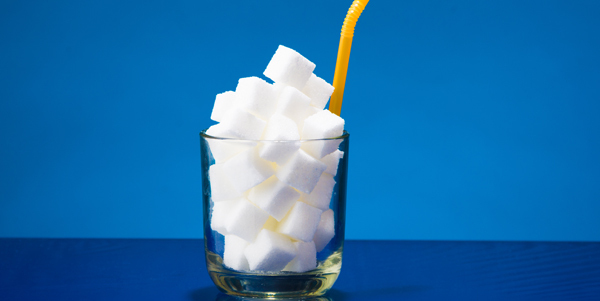 Here are a few of the worst sneaky sugar offenders. Who doesn’t love great barbeque? From ribs, to pulled pork, BBQ chicken and brisket, great barbeque is often accompanied by a great sauce. But BBQ sauce can have a high sugar content, sometimes as high as 10 grams per serving. That’s the equivalent of almost two and one half packets of sugar! Granola bars are often high in fiber and full of dried fruits and whole grains. But be aware, many brands of granola are simply candy bars in disguise. When shopping for granola bars, look for bars that contain less than 35% calories from sugar. You’ll be surprised at how few of them fall under that number. Many bars come in at nearly 50% calories from sugar. One of the biggest surprises in our list of sneaky sugar foods is dried fruit. That’s because it can be difficult to find dried fruits that don’t have sugar added for extra sweetness. Raisins, dates, cranberries and even dried bananas are sometimes coated in sugar. Be sure to check the packaging and only purchase dried fruits that don’t include the extra sugar. What could possibly be more healthy than a smoothie? Made the right way, using whole fruits and vegetables, along with unsweetened Greek yogurt, a smoothie can be a terrific choice. But many smoothie bars will often add liquid sugars to the mixer just before blending. Your best bet is to ask for a nutrition guide at your favorite shop and watch your smoothie being made. Try to avoid fruit juices that are generally all sugar and no fiber. Know what’s going in and don’t forget to ask questions. With all of the hidden sugar in our food, it can be daunting to track it all down. A great rule of thumb is to read labels whenever possible and become educated as to the various names for sugar. Dextrose, corn sweetener, high –fructose corn syrup, fructose, maltose, sorghum and evaporated cane juice are all common names for sugars found in foods you might never suspect as being hidden sugar bombs.